A bronchopleural fistula is an abnormal passageway (a sinus tract) that develops between the large airways in the lungs (the bronchi) and the space between the membranes that line the lungs (the pleural cavity). It a serious complication often caused by lung cancer surgery, but may also develop after chemotherapy, radiation, or an infection. Diagnosis is usually made with a CT scan of the chest. Treatment involves repairing the fistula, which may be done via endoscopy, bronchoscopy, or open chest surgery. A bronchopleural fistula does not always cause symptoms, and the diagnosis may be made in people who are asymptomatic after an imaging study reveals a persistent air leak. When a passageway like this develops, air that is breathed into the lungs can travel through the passageway and enter the pleural space. When symptoms are present, they can be easily dismissed as they are symptoms which may be expected following lung infections and surgery, such as a persistent cough (with production of a clear to pink, frothy fluid when a fistula occurs within 2 weeks of surgery and often grossly pus-like later on), coughing up blood, or shortness of breath. Lung cancer surgery: Pulmonary resection (removal of a lung or part of a lung) for lung cancer is by far the most common cause of a bronchopleural fistula. It is more likely to occur with a pneumonectomy (complete removal of a lung) than with procedures such as a lobectomy (removal of a lobe of the lung) or a wedge resection (removal of a wedge-shaped section of a lobe of the lung. In a 2016 study, 1.4 percent of people having a lobectomy and 14.3 percent of people having a pneumonectomy developed a bronchopleural fistula after surgery. It is also more common in those who have right-sided lung surgery. Infection (especially some types of pneumonia which resulted in a breakdown of tissue called lung necrosis). Persistent spontaneous pneumothorax: This refers to a collapsed lung (pneumothorax) which isn't going away. Chemotherapy or radiation therapy for lung cancer: Any treatment which causes damage to cells and subsequent healing in the region of the pleural border may result in the formation of a fistula. Studies looking at the incidence of bronchopleural fistulas vary, but it appears to occur in between 1.5 and 28 percent of surgeries involving removal of a lung. As noted earlier, it is more likely to occur with more extensive surgeries and is more likely to occur after a right-sided pneumonectomy, when mechanical ventilation is needed for a prolonged period of time following surgery, and when high doses of radiation are given prior to surgery. Most often, a bronchopulmonary fistula will be found one to two weeks after lung surgery, although a fistula may occur even a month after surgery. The diagnosis of a bronchopleural fistula is usually made based on radiological findings. A CT scan is often the test of choice for diagnosing the condition and may show increased air or fluid (often pus or an empyema) in the pleural space. A bronchopleural fistula is usually suspected clinically by noting a persistent air leak. In other words, these fistulas are often discovered when a chest tube is unable to be removed following lung surgery due to a persistent air leak. There may be continuous bubbling, or instead, an air leak may be present only during inspiration or expiration. With a small air leak, bubbling may only be present during forced expiration or a cough. There are three major steps (separate surgical procedures) involved in the treatment of a bronchopleural fistula. The first step is to drain the fluid that has accumulated in the pleural cavity due to the fistula. After the fluid is drained, repairing the fistula is the next step (see below). The final step in some cases is the get rid of the pleural cavity so that fluid can no longer accumulate. A procedure called pleurodesis involves placing an irritating chemical (talc) between the pleural membranes which causes them to scar together, obliterating the pleural space. Antibiotics are usually needed intravenously, especially with fistulas that develop a week or more after surgery. Treatment may be done surgically, or endoscopically through a bronchoscopy tube (sometimes this is the only method available if the patient is unstable) and recent studies suggest that endoscopic procedures may be both safer and effective or most people. Regardless of the procedure, drainage of the fluid in the pleural space (through a thoracentesis or maintaining a chest tube) and intravenous antibiotics are important. 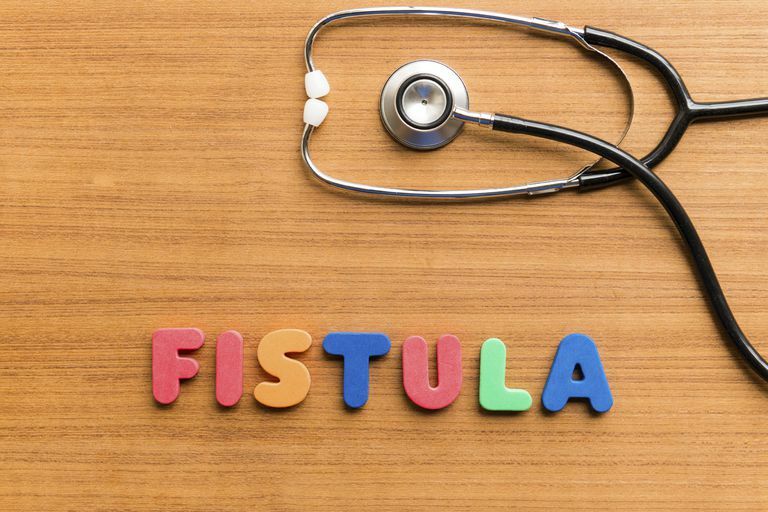 Surgery may be used to close the fistula. Bronchoscopy: In this procedure, the fistula is accessed and glues or sealants are inserted to close the passageway. These chemicals (usually silver nitrate) cause inflammation in the fistula which leads to scarring and closure, effectively gluing the abnormal passage shut. A bronchopleural fistula is a severe complication of lung cancer surgery with mortality (death) rates varying from 10 to 27 percent depending on the study. With prompt recognition and conservative treatment, it's likely that the prognosis of bronchopleural fistulas will improve. Examples: Sam developed a bronchopleural fistula after his pneumonectomy for lung cancer and needed to remain in the hospital longer than he had anticipated. Birdas, T. et al. Risk factors for bronchopleural fistula after right pneumonectomy: does eliminating the stump diverticulum provide protection?. Annals of Surgical Oncology. 2012. 19(4):1336-42. Boudaya, M. et al. Conservative management of postoperative bronchopleural fistulas. Journal of Thoracic and Cardiovascular Surgery. 2013. 146(3):575-9. Fuso, L., Varone, F., Nachira, D. et al. Incidence and Management of Post-Lobectomy and Pneumonectomy Bronchopleural Fistula. Lung. 2016. 194(2):299-305. Bribriesco, A., and G. Patterson. Management of Postpneumonectomy Bronchopleural Fistula. Thoracic Surgery Clinics. 2018. 28(3):323-335. How Can Patients Cope With Emphysema? Can You Have a Collapsed Lung Without Even Knowing It?